But surly, I'm selling my touring bike. It got me from Boston to Chicago, but the tour ends here. 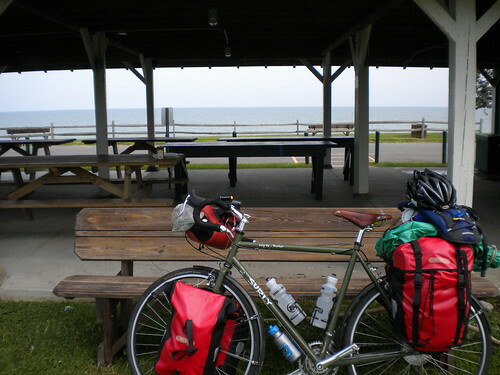 I plan on touring again, but I'd like to do it with a lighter bike, a lighter load, and for a shorter distance. It was fun while it lasted, but I'm too burnt out. Sam, the touring buddy, is already hopping trains out to Portland, and I'm trying to sort out my brain a bit to form a plan. Austin, TX, is most likely the next destination at the end of the summer. Farewell, bike I never named.